.com. All sites provide a broad range of competitively priced pet supplies, as well as community forums and partnerships with several national and local rescue and adoption facilities. 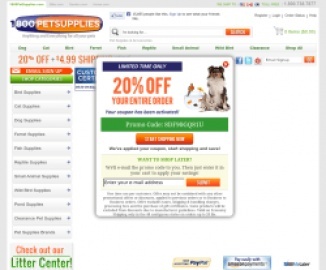 Unfortunately cash back is temporarily not available at PetSupplies.com. You can still find coupons and earn cash back at one of the similar stores listed on the left-hand side of this page.